In rural communities such as Shao-Ile and its neighbouring communities of Ojulogbo, Kiribi, Agbaa, Dogo, Eleshinnla, of Moro Local Government Area of Kwara State , a child is ready to travel for many kilometres in search of water for domestic use daily, almost as soon as that child attains primary school age . The search for water by these girls and boys who should be in school is a very risky daily journey which they undertook in spite of the many obvious risks which comes with the journey . One of such children is eight year old Kabirat Bello who is in primary three and eleven year Aminat Yahya, both of whom said they had no choice but to daily risk the danger of encountering reptiles and other animals in the wild as they go to fetch water which they and their families will use for cleaning, drinking and other routines of life. 17 year old Rasheedat Ahmed who is preparing for her final secondary school examinations, and combines schooling with being an apprentice, similarly has as part of her daily schedule, walking for several kilometres to get water for the use of her family. 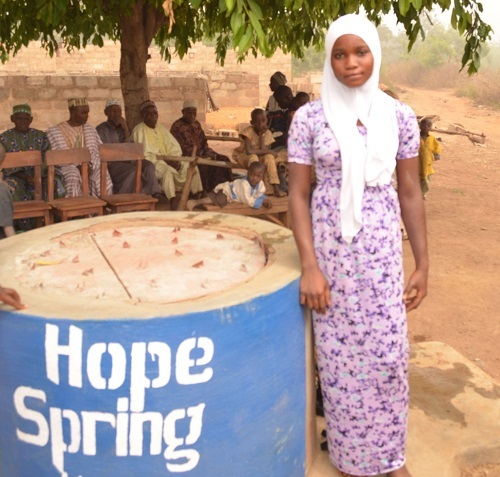 She was accustomed to making the punishing journey daily, braving the cold of Harmattan and the searing of the sun alike, and could not hide her joy as she melted into a smile when asked of how she felt about the new well donated to her community. Their accounts were attested to by members of the benefitting communities as they nodded in agreement to the words of the children. 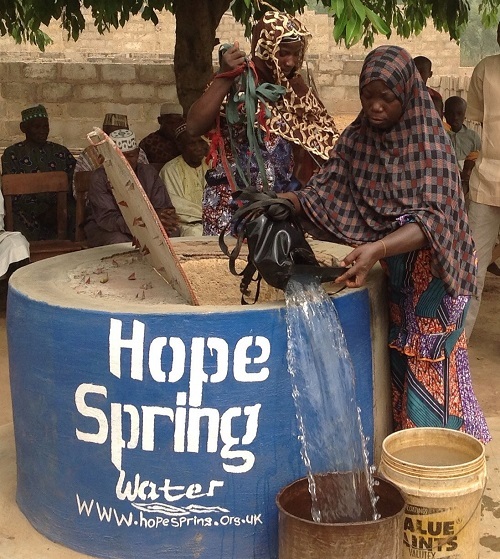 Alhaji Garba Alabi, the head of Shao-Ile village, which hosts the new Hope Spring Water donated well disclosed that Shao –Ile had to relocate away from its previous site on account of frequent inter ethnic conflict which the community engaged in with herdsmen over the use of water resources which were bore hole facility and river . Alabi noted that their bore hole generated confrontation incessantly and their river was often contaminated by migrating cattle. For this reason they had to relocate their settlement because their was no other choice left for them to explore. Despite this desperate situation, women and children of the village had to visit their abandoned bore-hole daily, just to carry on with life. 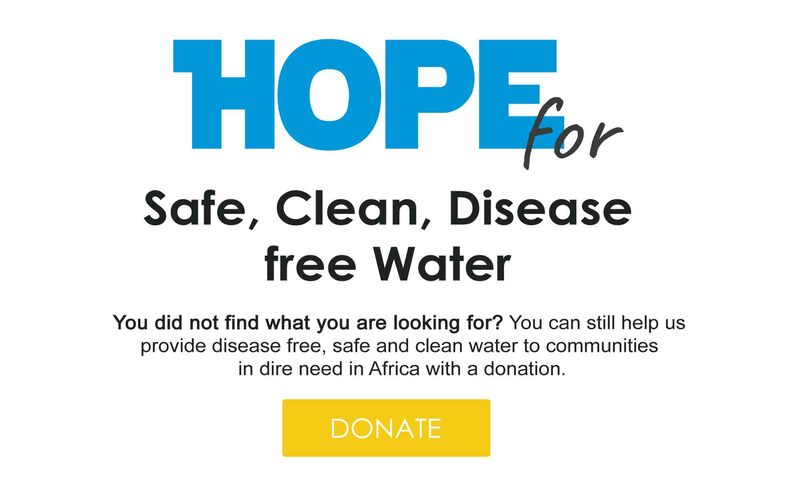 For this reason, he noted the intervention of Hope Spring Water in the provision of a well was considered as a divine intervention by them and other benefitting communities . 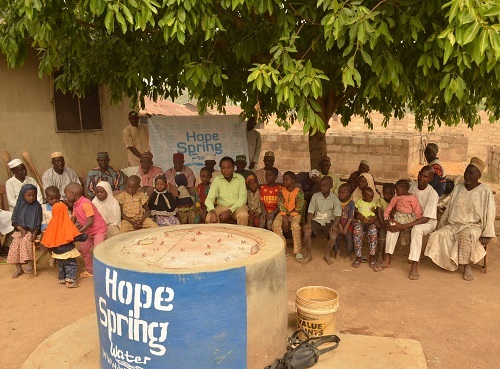 During the presentation of the well to beneficiaries, Alabi reiterated that members of his community suffered a lot in search of drinkable water and singled out the women and children of the community for their extraordinary sacrifice in bearing most of the burden of water scarcity while he expressed joy over the relief that comes along with the donated well. He noted that the community will share the facility with all its neighbours and passers by and added that they will not shut out the facility to herdsmen and their cattle because , according to him, water should never be denied to anyone even if such a person is an adversary . Also speaking at the event, the spiritual Head of Shao-Ile community, Imam Zubayr Amao, described water as life as he appreciated Hope Spring Water for focussing on the provision of water which he said is humanitarian services and prayed God to recompense the donors hugely . In his own words of appreciation, a community leader in neighbouring Ojulogbo village, Imam Issa similarly appreciated the gesture, describing it as a timely intervention. “We are very happy about the project, it will not only relieve our children and wives from trekking long distance in search of potable water, but also afford us ample opportunity to have access to a clean and drinkable water” he remarked. For Hafsat Ibraheem, a housewife and trader, who spoke on behalf of the women in the communities thanked God that the well is endowed with sufficient water and expressed happiness that it will greatly reduce their suffering for water in the communities. Mrs Ibrahim who is a locust beans producer said the well water will not only be useful for domestic use, but it is equally important in processing locust beans which they survive on by selling it in the city. “It is drinkable, it is going to be useful for our businesses, and other house cores” she said. Mrs Rihanat Bello in her remarks, eulogised Hope Spring for its gesture and sought for more of the project in order to for other members of the neighbouring communities who are equally having bitter experience when it comes to access to quality and sufficient potable water have sigh of relief like them. The well is expected to benefit an estimated population of between 250 and 600 people.